PARK SLOPE — The vegan author who collapsed while jogging in Prospect Park on New Year's Eve has died, a friend said. Rynn Berry, 68, died about 12:30 p.m Thursday at New York Methodist Hospital with his family by his side, said his longtime friend Martin Rowe. Rowe did not know the exact cause of death, but a doctor at New York Methodist Hospital told him Berry went into cardiac arrest while he was jogging in the park and had been on life support ever since. A hospital spokeswoman and the Medical Examiner's office did not respond immediately to requests for comment. "It's almost as if he was waiting to be identified before letting go," Rowe said. Berry, who had asthma, was carrying an inhaler but no identification when he was found in the park. His identity was a mystery for more than a week. New York's running community worked to spread the word through social media, and members of running groups even visited Berry in the hospital to see if they recognized him. After police released a photo of an unconscious Berry in his hospital bed, Berry's half brother identified him on Jan. 7. Berry, who lived alone, was a scholar and historian of veganism and vegetarianism. He was an adviser to the North American Vegetarian Society who traveled to international conferences to speak on the history of vegetable-based diets. He wrote "The Vegan Guide to New York City," which became a staple at health food stores across the city, Rowe said. 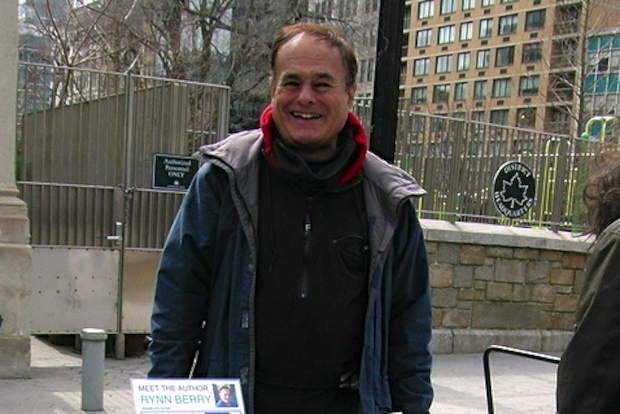 Berry made an international impact with his work, Rowe said, but to New Yorkers, he was perhaps best known as a regular presence at the Union Square greenmarket, where he sold his books and chatted with passers-by about his work for about 20 years, Rowe said. "He has been seen by thousands, maybe millions of people passing through Union Square," Rowe said. "Maybe they had no idea who he was, but now they will. Maybe there’s some justice there, if word gets out about his work."